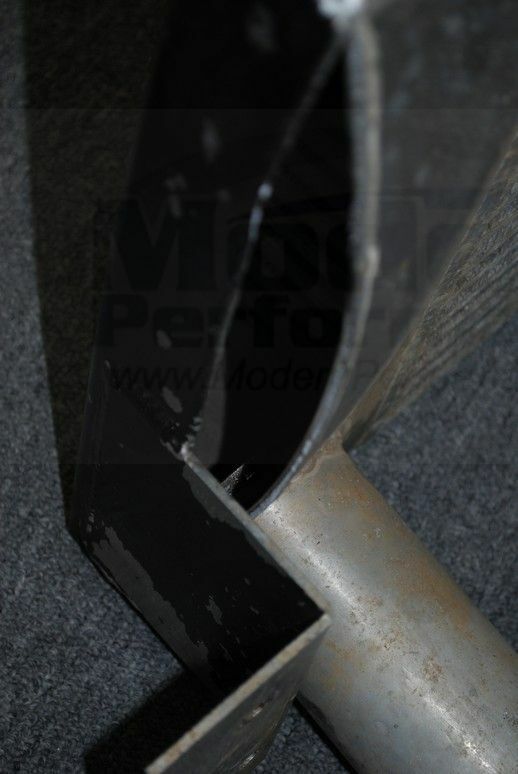 You are here: Home › MP Blog › Photos of an intercooler with a little bit of a boost leak.. Photos of an intercooler with a little bit of a boost leak.. 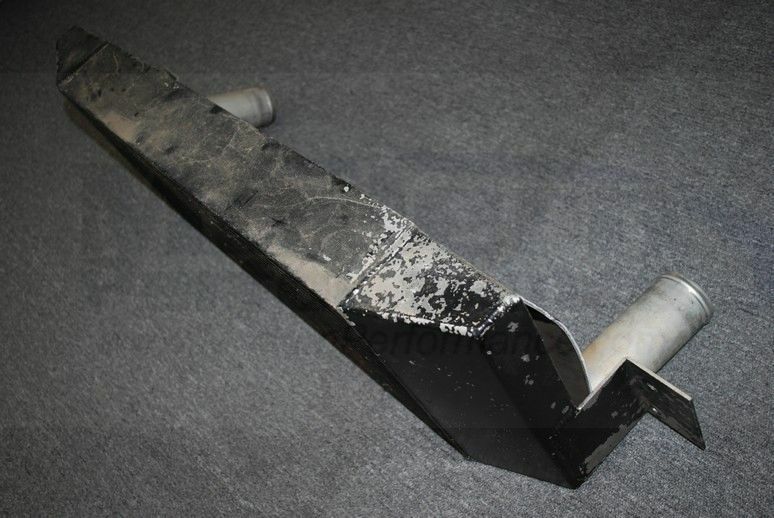 Photos of an intercooler that had a massive weld failure/leak. This is NOT an MPx intercooler. 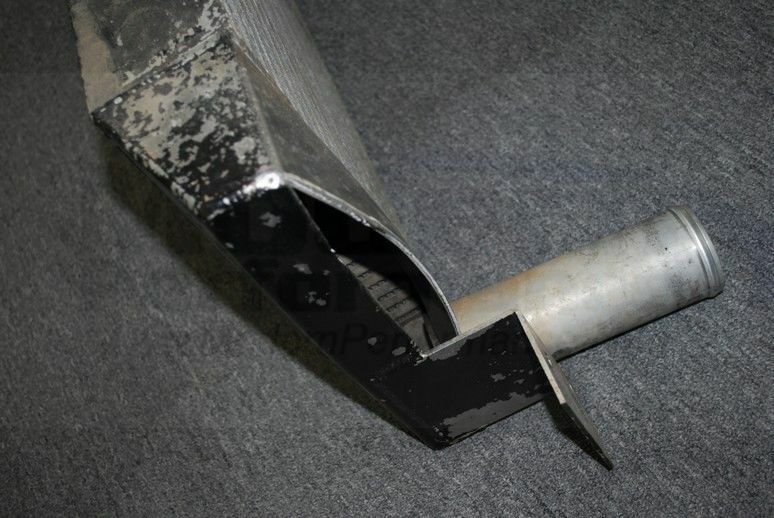 The MPX intercooler has a cast one piece end tank to prevent blow outs and or leaks like this! This intercooler was from a customer that recently traded in his blown intercooler for a AGP race intercooler on his Neon SRT4 that had about 450 hp. He was at the top end of 2nd gear when this blew out, at about 30 psi. We think his intercooler already had a weld failure/pinhole leak, and eventually air burst its way through the side of this poor intercooler. MPx Boost Leak Testers now in stock! A MUST have for all turbocharged car owners! We now have 4 inch boost leak testers for you guys with big turbos! New T Shirt ! Turn up the Boost ! New T Shirt ! Battle for Boost ! MPx Intercooler for 2008-2010 Chevy Cobalt finally available! Boost leak testers – why you need one for your SRT4/Cobalt SS/Caliber SRT4/Turbo car. AGP RACE Intercooler is here for the 03-05 Neon SRT-4! New Cobalt SS T shirt available at MP! Caliber SRT4 Forge Wastegate Actuator in stock. Faster boost buildup, more boost! 1995-99 Neon/03-05 SRT4 – Bad idle, vacuum leak engine light popping up on your dash after installing big cams?